The reporter learned from the Municipal Economic and Information Commission that the sixth Sichuan Provincial Master of Arts and Crafts evaluation work has been fully carried out. Since the declaration began in May, 15 people in Nanchong who are engaged in the production of handicrafts have submitted their application materials to the Municipal Economic and Information Commission. After undergoing a qualification review by the Municipal Economic and Information Committee and the Provincial Economic and Information Commission, the final six people involved in knitting, embroidery and dyeing, craft sculpture, other arts and crafts, and weaving blankets entered the review stage. After the review is passed, the six citizens will receive the title of "Provincial Arts and Crafts Master". 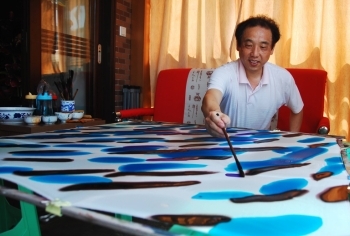 According to relevant person in charge of the Municipal Economic and Credit Commission, the assessment of â€œSichuan Masters of Arts and Craftsâ€ is held once every 4 years. The categories of this application include craft sculpture, embroidery and dyeing, weaving blankets, and arts and crafts, Art ceramics, craft glass, weaving crafts, and other arts and crafts are 10 categories, aiming to promote Everbright's traditional craftsmanship, inheriting Sichuan folk and traditional arts and crafts, and must be engaged in the arts and crafts profession for more than 15 years before being eligible to declare.